Every summer I look forward to the week of our wedding anniversary; and not because I’m a hopeless romantic — because it’s sockeye salmon season on the Kenai River. My husband is never here to celebrate our anniversary during the second week of July because he’s dipnetting three hours away. And although I love a good fresh grilled salmon steak (last night we grilled them over alder branches), it’s the roe that I crave. 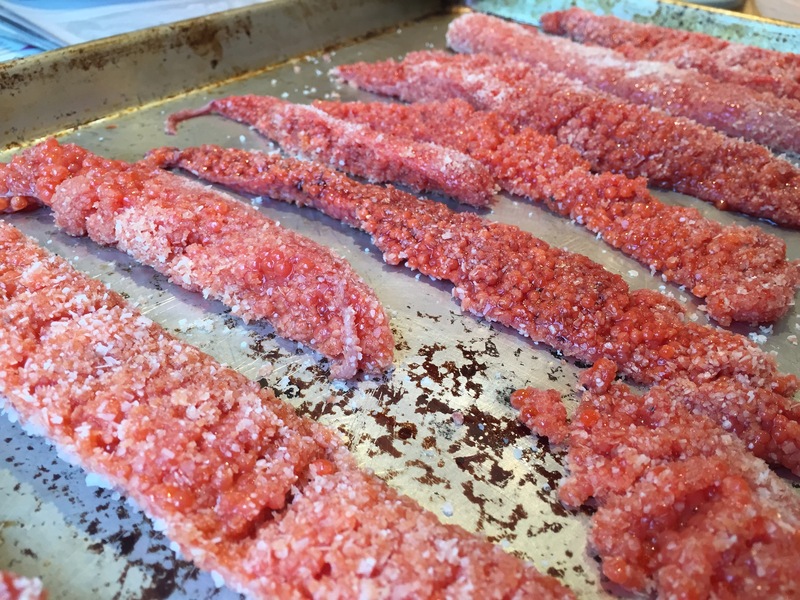 We usually brine the roe in a simple salt and water solution and serve them with crackers and white wine. 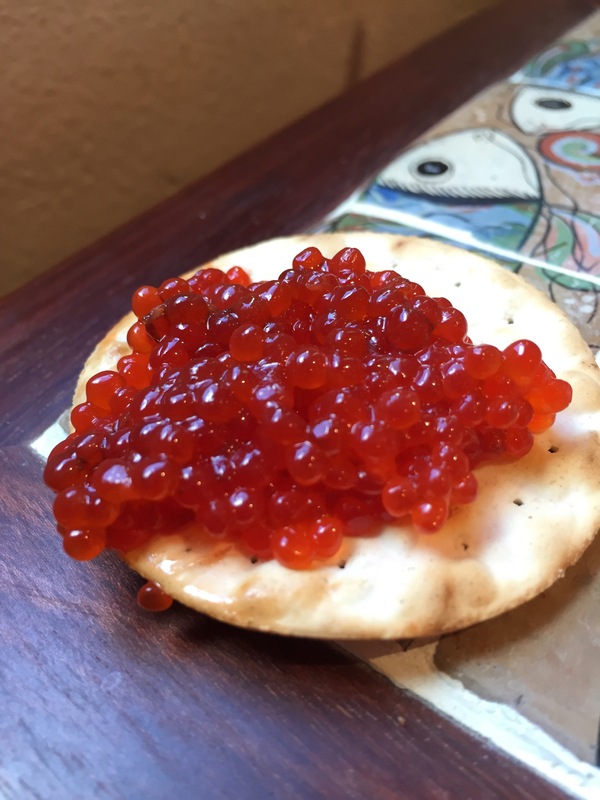 You can read my post from last year about wild salmon caviar. Today, though, a friend dutifully gave me his roe from the silver salmon he caught in Seward over the weekend. When I went to process them I realized they were too small and delicate. Pushing them through a metal grate was ruining them. I didn’t want to waste them so I thought outside the box. Or inside the box, rather, as my dad had just removed some red salmon lox from his smoker. 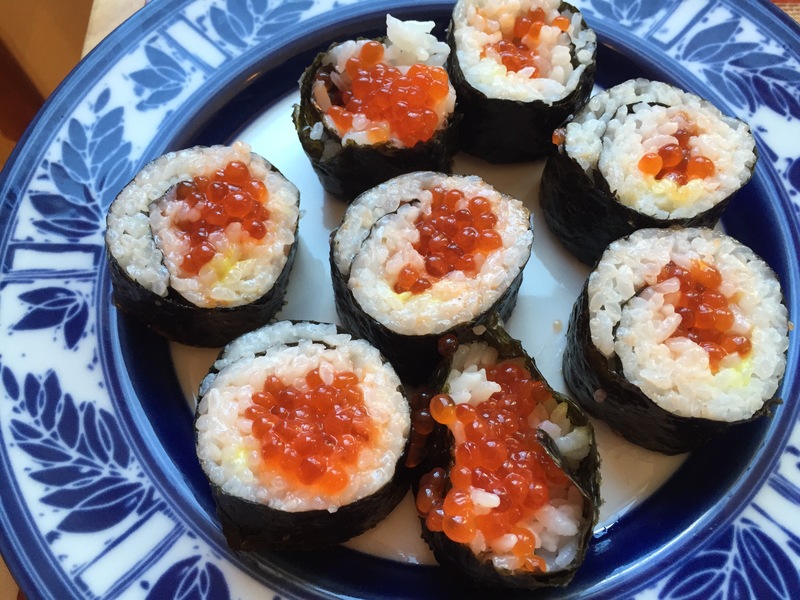 I found this incredibly simple recipe for smoked salmon roe and decided to give it a try. It turned out splendidly! A friend told me it tasted a bit like smoked oysters. I will definitely try it again, but I might rinse the eggs of their salt brine before smoking them as they are a bit on the salty side. This recipe assumes that you know how to use a smoker. I only say this because my dad is the smoke master in my family and I haven’t learned to operate one. All I can say is we cold smoked the eggs since heat would ruin the texture altogether. Make sure the roe is fresh, fresh, fresh. That means it’s either been in a freshly caught fish or if the fish was processed on the beach that the eggs were kept on ice the entire time for no more than two days. Rinse the salmon roe skeins in fresh cold water to remove any grit. Pat them dry with paper towels and dredge them in kosher salt. 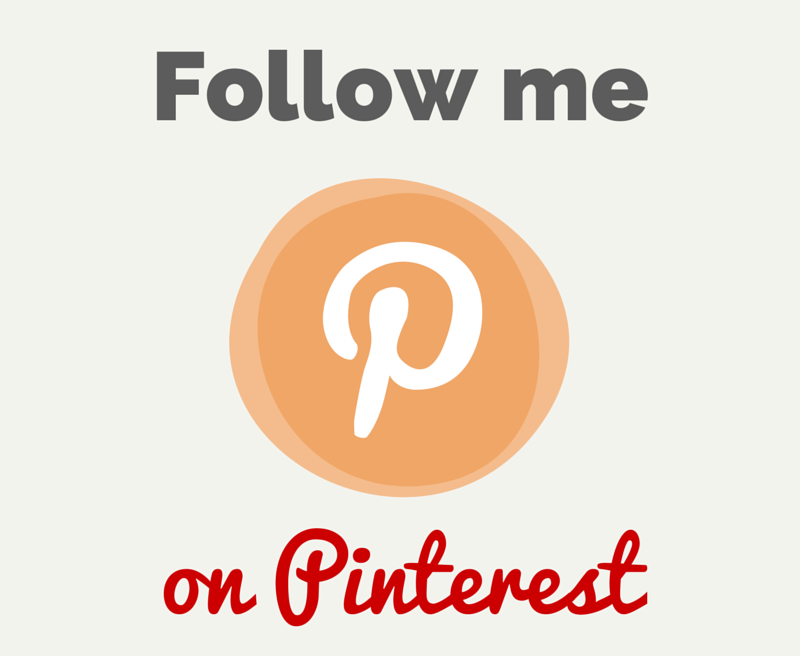 Place them on a rimmed baking sheet in the fridge for 20 minutes. In the meantime, turn on your smoker. Remove the skeins from the fridge and rinse them again under cold water. Pat dry. Rinse off the baking sheet and wipe dry. Place the skeins back on the tray. Place your baking sheet on the top shelf and leave the smoker door slightly ajar. Smoke for 30-45 minutes. Place roe in fridge until cold. 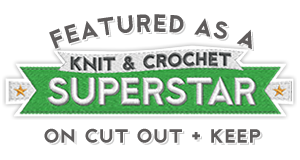 Use a butter knife to scrape the eggs away from the skein membrane. Store in a jar for up to 5 days (but they shouldn’t last that long, really). Enjoy on crackers or in any way you deem fit. Today I made sushi with the smoked roe. It was fabulous.